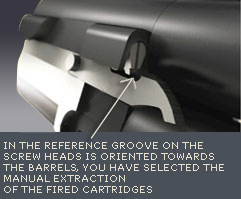 fired shells or extract them. 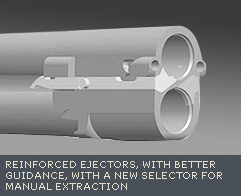 In the “environmentally friendly” mode of mechanical extraction, spent shells can easily be removed from their chambers and carried away in a hull pouch. 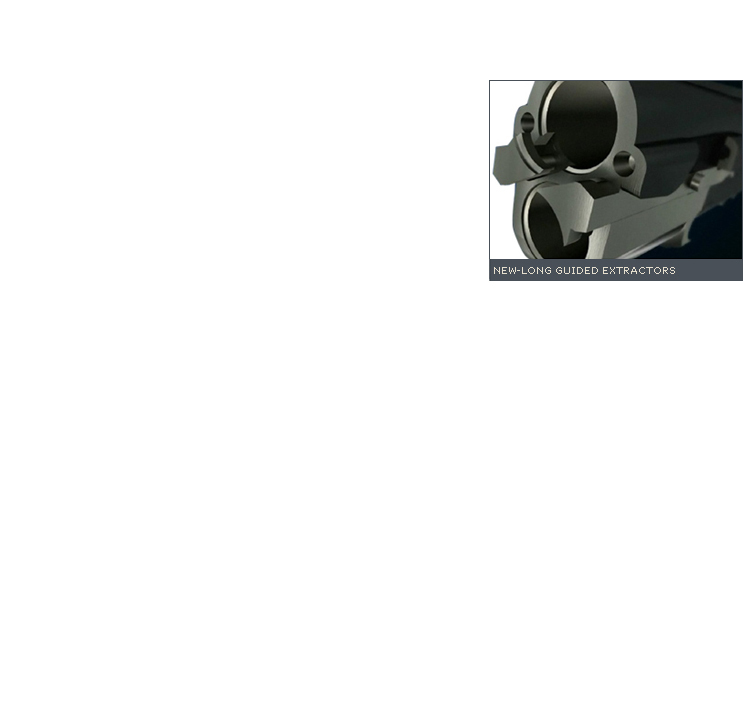 The ejection/extraction switch is easily accessed by simply removing the fore-end. 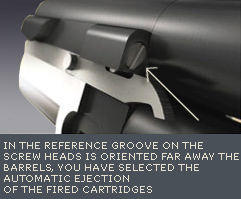 The ease and perfection by which shells are extracted or ejected comes from the newly designed extractors that are precisely guided along the entire length of the barrel monobloc. 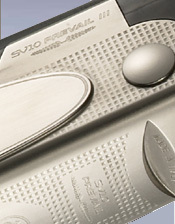 The extractor’s large contact surface area on the rim of the shell improves both retention and reliability.